You’ve seen chia seed and honey all over Instagram for their moisturising properties. 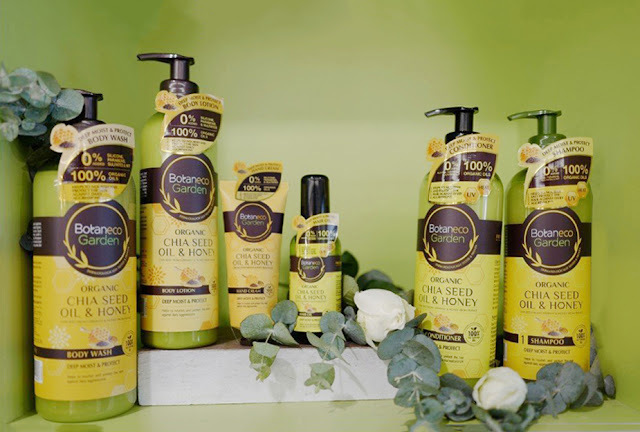 Botaneco Garden has formulated the goodness of these ingredients into a full range ideal for very dry skin and hair. 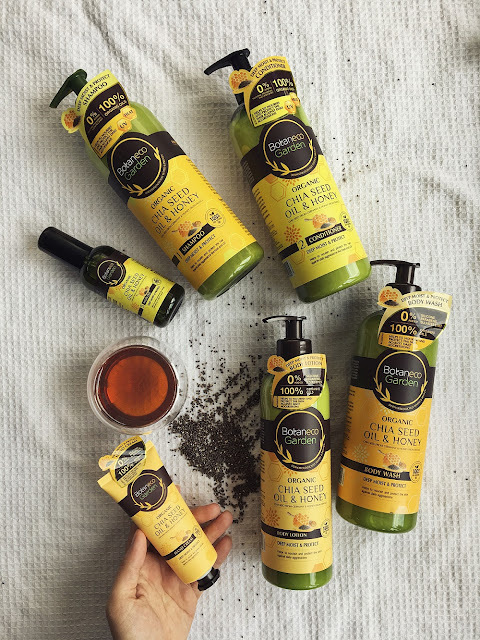 It is enriched with organic chia seed oil from Germany, to helps restore hair and skin’s natural moisture barrier and retain moisture while organic honey extract from France provides a protective film for healthy skin and hair. Honey, in cosmetic formulations, helps to soothe, and hair conditioning effects, keeping the skin juvenile and improving the appearance of wrinkle, regulates pH. While Chia seed oil a centuries-old ingredient that has been rediscovered for today’s cosmetics and nutritional applications; provides skin conditioning and restorative fatty acid that helps speed up skin’s barrier repair mechanisms, reduce trans epidermal water loss, and reduce scaling and dryness for all skin types. Uses a trifecta of 100% eco-certified oil – Babassu Oil, Baobab Oil and Chufa Oil for moisturising properties. Each product within the Botaneco Garden Trio Oil range features five moisturisers – the three main oils, and two others that are chosen for their specific functions for hair and skin. This is the largest range that is divided into Smooth & Silky, Repair & Strengthen, and Anti-Dandruff for hair. With Gentle Cleansing, Whitening, Moisturising, Refresh & Soothe, Soften & Moisturise and Relaxing for bath and skin care.